Being alone can break your heart -- literally. If you feel you have no one to turn to, it can adversely affect your blood vessels and heart. People who lack a strong network of friends and family are at greater risk of developing -- and dying from -- heart disease, research shows. According to some studies, the risk of solitude is comparable to that posed by high cholesterol, high blood pressure, and even smoking. Experts haven't pinpointed exactly how social networks protect against heart disease, but there are a number of probable explanations. People who are socially isolated are more likely to drink, smoke, and get less exercise. And once someone has heart disease, friends and family often provide key support, such as picking up prescriptions, encouraging exercise, cooking healthy meals, and helping with household chores. While that everyday help is important, it's not the whole story. In recent years, researchers have begun to unravel the cardiovascular effects of social isolation, and they've discovered that feeling alone may hurt the heart even more than actually being alone. "We started looking at social isolation about 20 years ago, and we found fairly quickly that objective social isolation in everyday life isn't as important as perceived social isolation," says John Cacioppo, PhD, a professor of psychology at the University of Chicago. "And there's a term for perceived social isolation: It's loneliness." Though the concepts are sometimes used interchangeably, loneliness is distinct from social isolation (also known as low social support). There's some overlap between the two, but not as much as one might think. Social support is typically measured using a handful of characteristics such as marital status, number of friends, and participation in group activities (such as churchgoing). Low scores on these measures don't necessarily correspond to loneliness, however. Some people need more "me" time than others, after all, and some people are content with just one or two close friends. Fifteen years ago, after undergoing surgery to replace a heart valve, Dale Briggs, 63, of Clovis, California, felt anxious and isolated, not like himself at all. Briggs rated high on the social support scale -- he's married, he's a weekly churchgoer -- but he felt that he wasn't connecting with people anymore. "During that period I could have had 15 people in my house all the time, but I would have traded them all for someone who had been through what I'd been through and who I could talk to about it," Briggs recalls. "I felt isolated in my mind, like I couldn't relate to anybody." Briggs's experience illustrates how difficult it can be to draw a line between loneliness and other conditions such as anxiety and depression, which are common in people with heart disease. Loneliness shares many of the same features as depression (for instance) -- and the conditions often occur alongside each other. "Someone may be anxious and lonely, or depressed and lonely, or having medical problems and lonely," says Jackie Gollan, PhD, a clinical psychologist at Northwestern University. Though one condition may influence the other, loneliness is independent and can be challenging to treat, Gollan says. "Even if you treat depression, loneliness may still be there." Though depression and anxiety can certainly have a negative impact on your heart, loneliness appears to be especially deadly. In the 1990s, a team of Swedish researchers interviewed nearly 1,300 patients about to undergo coronary artery bypass surgery. The patients were asked to respond "yes" or "no" to 38 statements regarding their mental and physical health, such as "Things are getting me down," "I'm feeling on edge," and "I'm in constant pain." Though they may not be aware of it, lonely people tend to perceive social interactions as more negative and threatening than non-lonely people do. "The brains of lonely people are on high alert for social threats," Cacioppo says. In studies, lonely people have also been shown to have higher levels of cortisol, a hormone released in response to stress, and this persistent stressful state produces "wear and tear" that can affect the cardiovascular system. Atherosclerosis, the narrowing and hardening of the arteries that leads to heart attacks, is caused by inflammation -- the flood of white blood cells and chemicals that our immune system unleashes to ward off damage or infection. Cortisol is a powerful anti-inflammatory that works by activating white blood cells, which would seem to suggest that lonely people would actually be less susceptible to inflammation. In fact, Cacioppo and his colleagues have discovered that the high cortisol levels found in lonely people make their white blood cells less sensitive to the hormone. The effect is similar to what happens when you walk into a dark building after being out in bright sunlight, Cacioppo says. The overexposure to cortisol causes white blood cells to "see" cortisol more poorly when they need it most, and as a result the cells don't fight inflammation as vigorously. But how is loneliness any different from the stress felt by people with demanding jobs or road rage? Wouldn't cortisol have the same effect on them? "People think about stress as general and diffuse, but it's not," Cacioppo explains. Research has shown that the brains of lonely people respond differently to stress. Mild, temporary stress -- such as that caused by giving a presentation at work -- releases comparable amounts of epinephrine (a hormone involved in the so-called flight-or-fight response) in both lonely and non-lonely individuals. People who are lonely, however, exhibit higher activity in a part of the nervous system that is especially sensitive to social stress (and that provokes the release of cortisol). More importantly, says Cacioppo, that heightened activity is present all day long in lonely people, not just in stressful moments. Depression, hostility, and loneliness can all cause stress, in other words, but each emotion has a specific effect on the body. The effect caused by loneliness, moreover, appears to be especially damaging to the cardiovascular system. Hostility, for instance, affects how hard the heart muscle beats. 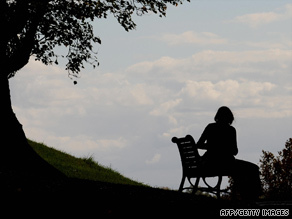 But loneliness produces an increase in vascular resistance -- it becomes harder for blood to move through the arteries. Over time this resistance can contribute to hypertension, which is associated with atherosclerosis and heart disease. If you're at risk for heart disease, and especially if you've suffered a heart attack, limiting social isolation and loneliness are both critical. People who experience interpersonal relationships as threatening may find the nonjudgmental nature of pets especially beneficial. "The nonjudgmental aspect of pets really provides support, more so than the support that would be provided by a person," says Erika Friedmann, PhD, a professor at the University of Maryland School of Nursing who has studied the health benefits of pet ownership. In most cases, however, lonely heart patients may want to consider talk therapy. Cognitive-behavioral therapy can help people understand their emotional and cognitive responses to social relationships, strengthen their social networks, and identify opportunities to make their relationships more meaningful, according to Gollan, who has been working with Cacioppo to translate his research into a clinical context. "It helps somebody modify their social environment, when they feel that they don't have the resources or access, or are out of ideas about how to do it," says Gollan.